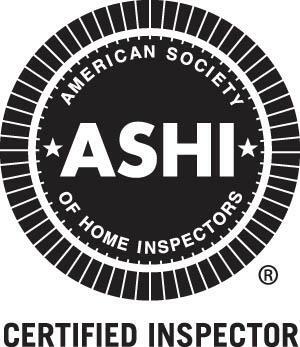 Home Pride House Inspections, Inc.
Any discoverable mold whether visual or by smell can be sampled and sent to our certified lab for identification. Easy to read reports will tell us the type of mold that was sampled. Molds are simple, microscopic organisms whose purpose in the ecosystem is to break down dead materials. Molds can be found on plants, dry leaves, and on just about every other organic material. Some molds are useful, such as those used to make antibiotics and cheese. Some molds are known to be highly toxic when ingested, such as the types that invade grains and peanuts. Most of the mold found indoors comes from outdoors. Molds reproduce by very tiny particles called spores. The spores float in on the air currents and find a suitable spot to grow. Spores are very light and can travel on air currents. If mold spores land on a suitable surface, they will begin to grow. Molds need three things to thrive- moisture, food and a surface to grow on. Molds can be seen throughout the house, and can be found in most bathrooms. Mold growth can often be seen in the form of discoloration, and can apear in many colors-white, orange, pink, blue, green, black or brown. When molds are present in large quantities (called colonies) they can cause health problems in some people. Mold spores can cause adverse reactions, much like pollen from plants. Mold spores cause health problems when they become airborne and are inhaled in large quantities. Everyone is exposed to mold in some concentration in the outdoor air. Indoor exposure to molds is not healthy for anyone. In particular, people with allergies, existing respiratory conditions or suppressed immune systems are especially susceptible to health problems from mold exposure. Additionally, infants and children, pregnant women and the elderly can be sensitive to the effects of mold exposure. Some molds are more hazardous than others. For some people, a small number of mold spores can cause health problems. For others, it may take many more. There are many symptoms of mold exposure. The extent of symptoms depends on the sensitivity of the exposed person. Allergic reactions are the most common and typically include: respiratory problems such as wheezing and difficulty breathing; nasal and sinus congestion; burning, watery, reddened eyes or blurry vision; sore throat; dry cough; nose and throat irritation; shortness of breath; and skin irritation. Other less common effects are: nervous system problems (headaches, memory loss, moodiness); aches and pains; and fever. If you have any of these symptoms, and they are reduced or completely gone when you leave the suspect area, chances are you have been exposed to some sort of allergen, quite possibly mold. How can I keep mold from damaging my home? Repair water damage as soon as it is noticed. Watch for signs of moisture, such as condensation on windows, cracking of walls, loosening of drywall tape, warped wood or musty odors. Install bathroom fans that vent humidity to the outside. Clean any moldy surfaces as soon as they are noticed.